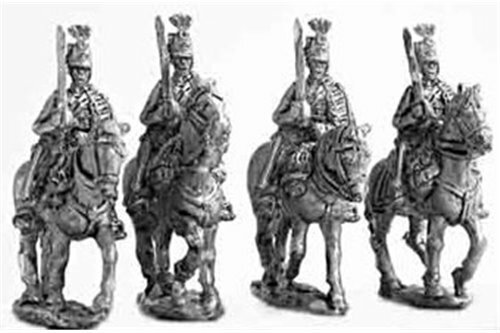 Cavalry 1850-1860 There are 17 products. 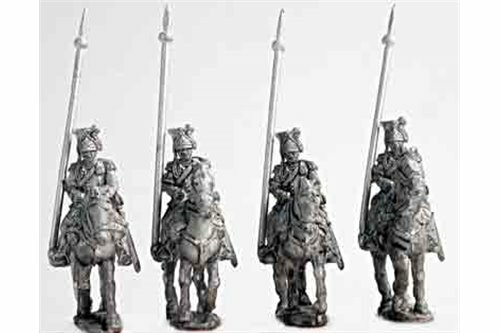 Hussar command group, charging (4 variants). 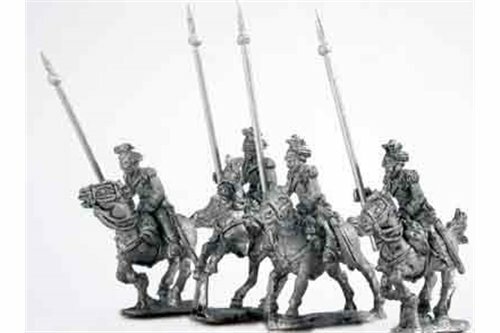 Hussar command group, charging (4 variants). .
Dragoons walking, shouldered sword (4 miniatures, 1 variant) next issue. 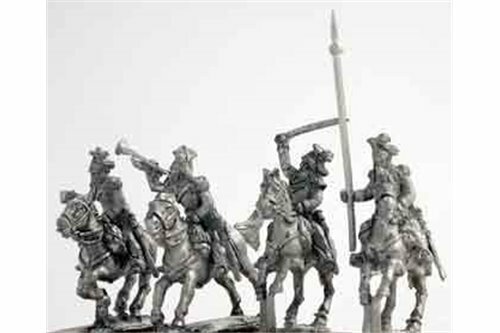 Dragoons walking, hands on bridles (4 miniatures, 1 variant). 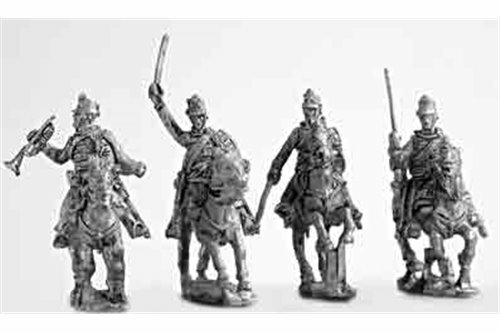 Dragoons walking command group, (4 miniatures, 4 variants) . 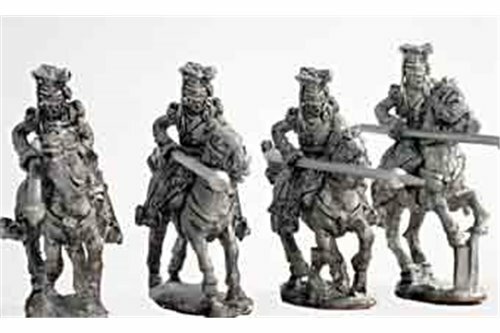 Dragoons campaign dress, charging (4 miniatures, 2 variants). 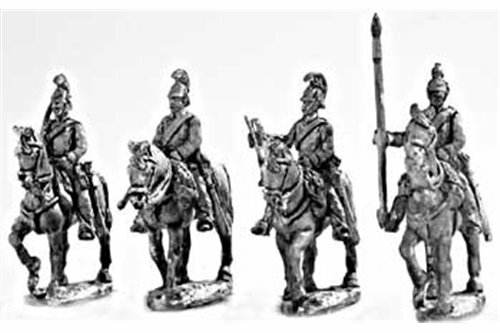 Ulans, dress uniform, walking, shouldered lance (1 variant)..
Ulans, dress uniform, walking, lance in hand (1 variant)..
Ulan command group, walking (4 variants). 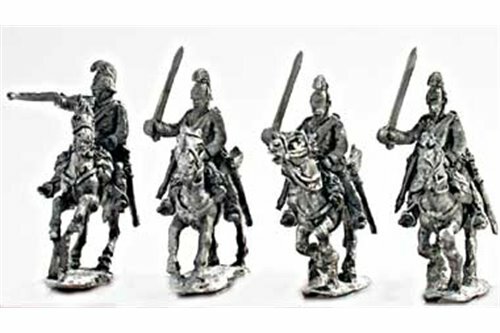 Ulan command group, walking (4 variants)..
Ulans charging, lance forward (2 variants). 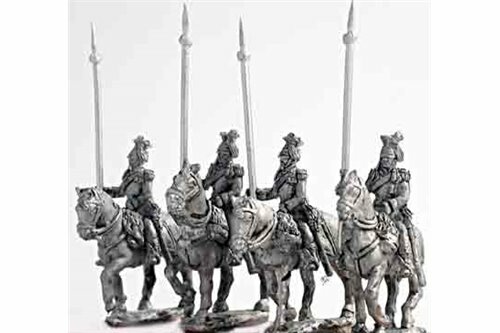 Ulans charging, lance forward (2 variants)..
Ulans charging, lance at rest (2 variants). Ulans charging, lance at rest (2 variants)..
Ulan command group, charging (3 variants). 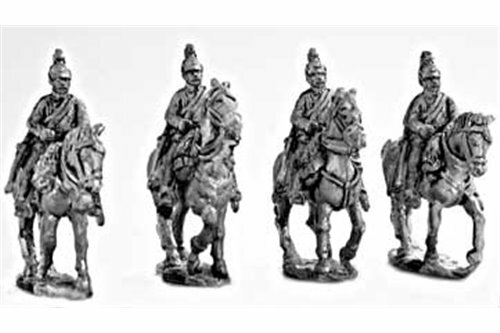 Hussars, dress uniform, walking (1 variants). 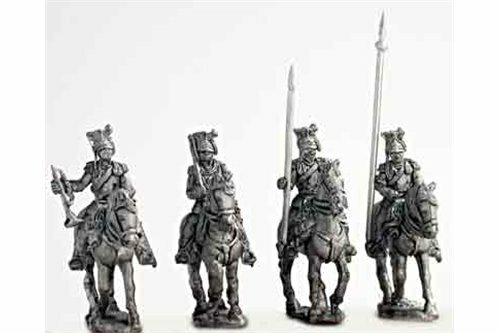 Hussars, dress uniform, walking (1 variants)..